There is nothing more beautiful than the joys of new birth. Puppies are tiny balls of softness, innocence and cuddly cuteness. There are many things you can do to help prepare for your female dog’s pregnancy. Your dog should be over one year of age and have had its 2nd or 3rd heat. Most dogs will have their cycle every 5-7 months. Be sure your female is in good shape prior to becoming pregnant. An overweight dog may run into more complications with pregnancy than a lean, healthy weight dog. As with any pregnancy, your dog will likely go through emotional changes. Give her lots of love and attention with gentle words and lots of strokes. She may not feel very well in the first few weeks so this extra love will be very soothing. After the first 6 weeks of pregnancy, your pet will need to consume more food, as well as after the birth of the litter. You should increase her food intake by about 25%. She may need several small meals as the puppies growing inside of her put pressure on her internal organs. Providing clean, fresh water is very important. The need for extra food and fluids increases at this time and helps your dog and her puppies have the nutrition they require. Exercise is very important as well. Even though she is pregnant, she needs to run and play as she always did. Playtime makes your dog happy and gives her a boost towards a happy pregnancy. Walks alone won’t do it. You will need to walk her more, however, because she is increasing her fluid intake and the puppies put increased pressure on her bladder. It is important to get her checkups with the vet. Prior to breeding she should test negative for heartworms and intestinal parasites which can be passed along to the pups. All of her immunizations should be up-to-date. 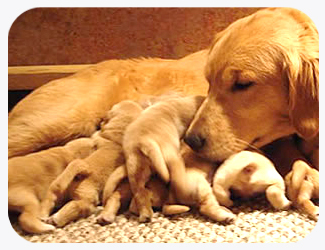 The mother’s immunity to infectious diseases is given to her puppies during their nursing of her milk. Be sure to set aside an area with an easy to clean surface where she can have her pups when the time comes. A low, shallow box lined with clean old blankets, sheets or old clothing will give her a soft and comfortable place to give birth. Get her used to it ahead of time, even offering treats there to get her to go to that spot. If she were to have the puppies outside of that area, move them right to the designated spot so she will follow. Since this will be her resting spot for several weeks with the puppies, it is important to keep it clean and comfortable. The joys of motherhood will fill the air when the puppies are born. It is a wonderful experience that is best when you have taken the time to prepare for it. All of these suggestions will help to ensure a happy, healthy new litter of puppies! 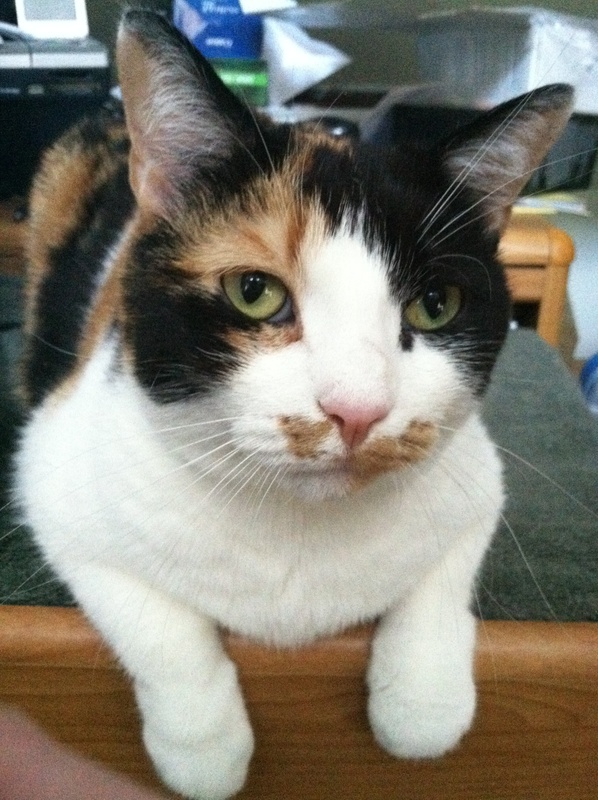 Accidents Outside The Litter box; Spiteful? -changes in the environment including new people, routines, new pets, moving, renovations, etc. -use unscented, clumping sand type litter in a large low box. A liner makes for easier cleanup. We love our cats and want to understand when they are trying to tell us something. At least we know they are not trying to get back at us for not remembering a card on their birthday! Tails Untold® will create your pet's own personalized, beautifully illustrated hard-cover book where your pet is the narrator and the star. © 2019	tailsuntold. All Rights Reserved.